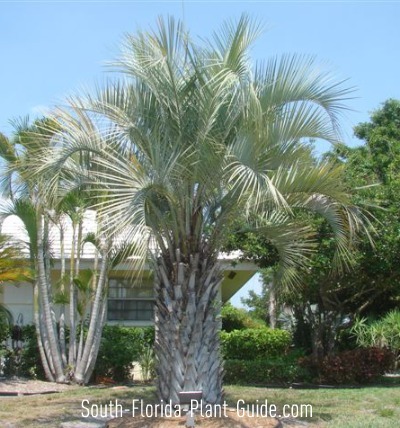 The silvery pindo palm gives home landscaping a classy, Old Florida look...and you can eat the fruit. Striking in appearance, the pindo's feather-leaf, silver-colored fronds (some call it more of a blue-green) create an outstanding contrast to a typical yard's greenery. These are some of the hardiest palms in South Florida, laughing at cold, blazing sun, salt air and dry conditions. A native plant sometimes called "Jelly Palm," the pindo produces edible berries that can be made into jelly with a sweet banana/pineapple flavor. The look of the this palm is unique yet versatile. It can fit in small yards, especially pretty with a modest beach house, an old-fashioned Florida bungalow, or dressing up the yard of a ranch-style home. 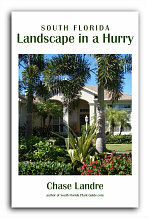 And pindo palms work for large woodland estates, horse ranches or waterfront homes as a bright spot in the landscape. This Florida native is a slow grower to about 20 feet. When the palm is young, the fronds stay low to the ground, so allow a bit of room for them to spread out. As it matures, the pindo develops a thick trunk covered with woody leaf bases for many years, and the fronds curl downward to form a handsome top. These palms prefer a full sun location, though they'll tolerate partial shade. They're moderately salt-tolerant and very cold hardy, thriving anywhere in Florida in Zone 9 and southward. A pindo palm tree is about as easy care as it gets. No soil amendment is necessary but adding top soil to the hole when you plant is always appreciated. It doesn't like to be kept overly wet, and once the palm is established, minimal irrigation is fine. 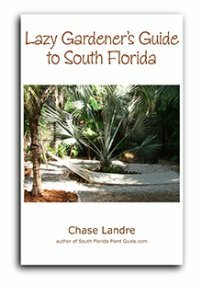 Fertilize once a season in spring, summer and autumn with a granular palm fertilizer. You can trim off browned fronds when the palm is young and short, but as it ages, you can let the old fronds just fall off on their own. Pindos are best grown as specimen palms, planted by themselves in the yard. But if you want to place one near the house or a fence, come out about 6 feet or more to give it room to develop. If planting in a row, space the palms about 10 feet apart so each individual pindo can shine. 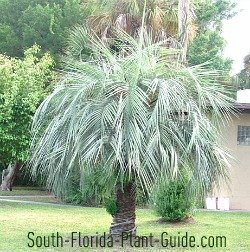 Unless you're growing a collector's palm garden, avoid planting in clusters since the pindo is much more showy as a stand-alone specimen or in a well-spaced row. This is not a happy palm in a container, and the pool cage planter just won't do it justice. The great outdoors of Florida is its perfect home. 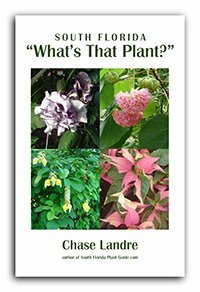 COMPANION PLANT SUGGESTIONS: Small to mid-size plants, shrubs, and grasses that can handle drought and cold...like muhly grass, bulbine, Panama rose, pittisporum and dwarf bougainvillea.